Often the best way to pick a bottle of wine is to pretend you're a wizard selecting their wand in Harry Potter, by which we mean: Just grab something and tell yourself it chose you. Granted, not everyone follows this strategy. 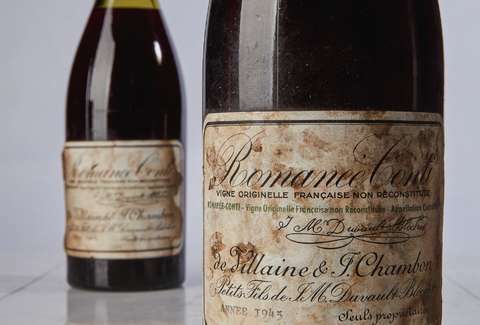 Some people spend $558,000 on a single bottle, making it the most expensive ever -- like whoever bought this 1945 Romanee-Conti, a 73-year-old bottle of French Burgundy auctioned at Sotheby's on Saturday. CNBC reports that its original estimated value was $32,000; it went for 17 times that. The previous record was set by a 3-liter bottle of 1945 Mouton-Rothschild that sold for $310,000 back in 2007. But apparently, that's a vat of cat piss compared to this bottle, if you're judging by the price difference. By Jezebel's count, the new record-holder is worth about $10,000 per sip. Romanee-Conti is "king of collectible wines," according to CNBC, and 1945 is its "most prized vintage." Only 600 bottles were produced that year, the last year in which older, preferred vines were used. Strangely, a bottle of the exact same vintage and size sold for a mere $496,000 moments later. According to Sotheby's, the best bottles of 1945 Romanee-Conti are "so concentrated and exotic, with seemingly everlasting power -- a wine at peace with itself." We can only hope that the person who saw fit to spend this much on a bottle of alcohol is also at peace with him- or herself.